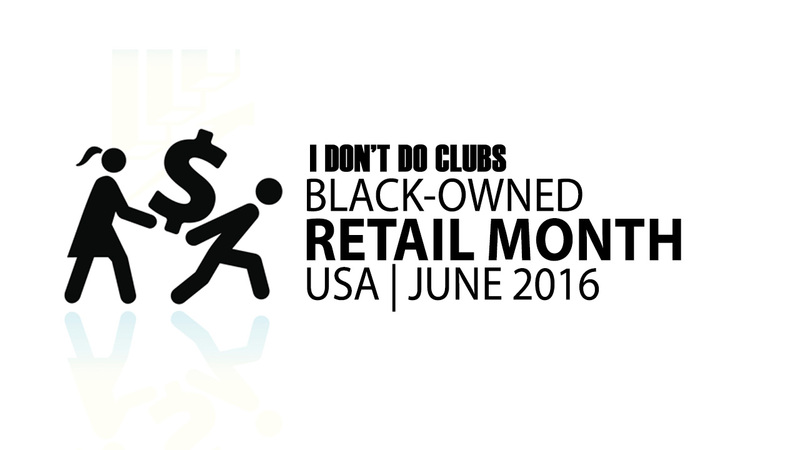 Known for their Black Owned Restaurant Month, I Don't Do Clubs is now introducing a Black Owned Retail Month! In June 2016, participating black owned businesses all over the country will offer exclusive deals to consumers. For more updates, keep checking I Don't Do Clubs' Retail Month page.